In repositories where you have write access, you can assign labels to issues and pull requests to help organize your projects. 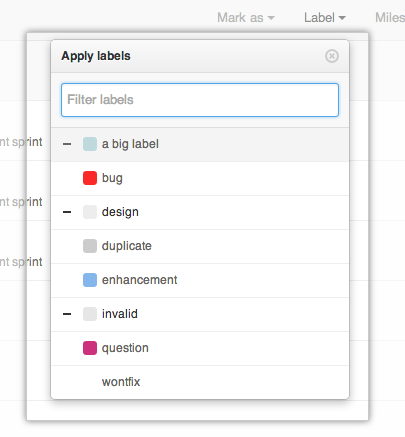 Tip: You can also apply a label in the Labels drop-down menu within an issue or pull request. Select the checkbox next to the items you want to apply a label to. In the upper-right corner, click Label, then start typing the name of an existing label. Click the label's name to associate it with the selected items.